Today’s lead photo — an award we received…. 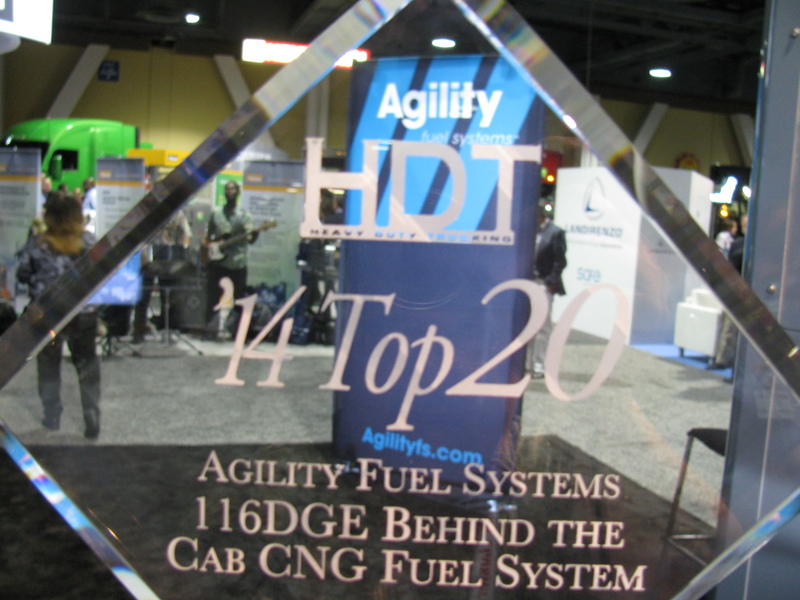 The Agility Fuel Systems 116 DGE CNG Fuel System won a Top 20 Award from Heavy Duty Trucking – see more on the HDT website. 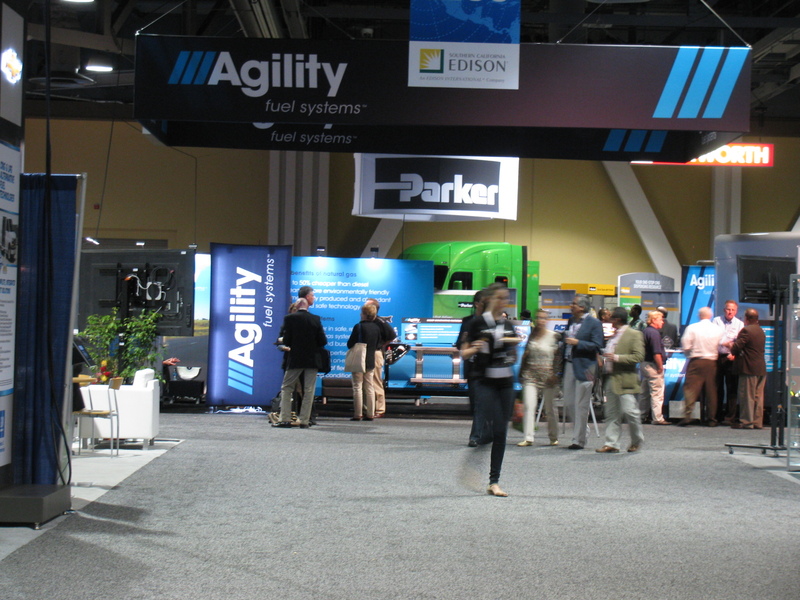 Our excellent booth location made it easy for visitors to find us. . . .
Left: Luis Salem, VP Marketing and Sales, explains the features and advantages of the new Agility Fuel Systems behind the cab (BTC) CNG fuel system to John Keltner of Daimler Trucks North America (DTNA). I wish regular gas is less than $4 per gallon. 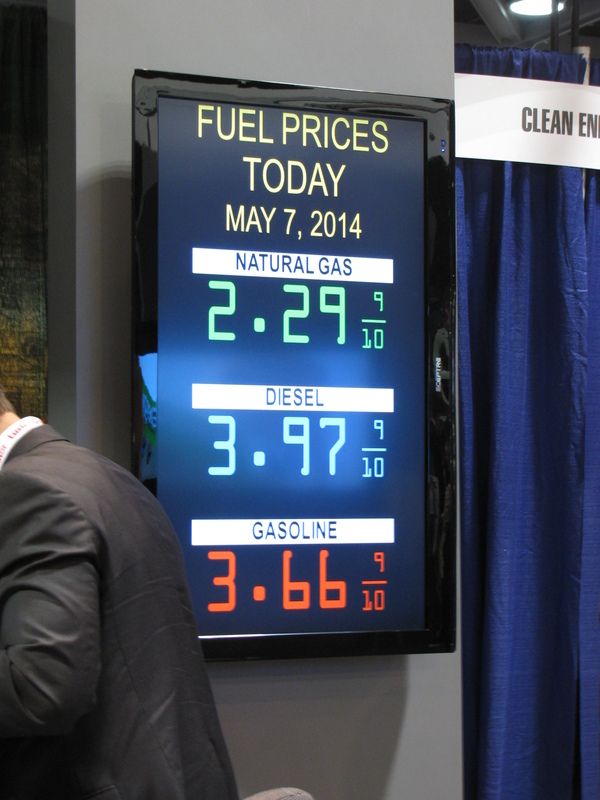 I paid four-something per gallon last week filling my Prius . 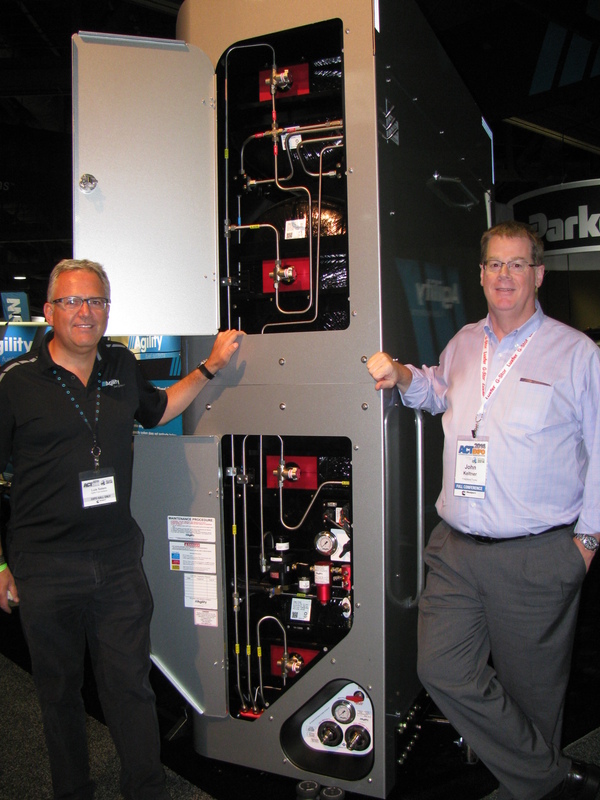 . .
And perhaps the biggest buzz on the show floor was the reaction to this news release we issued during the ACT show. . .
And this one, too. . .